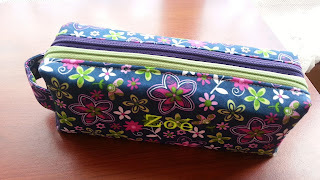 A classmate of my youngest daughter invited her for her birthday and so I came up with a pencil case with two zippers on it in a small size of www.sewsweetness.com, as a gift. 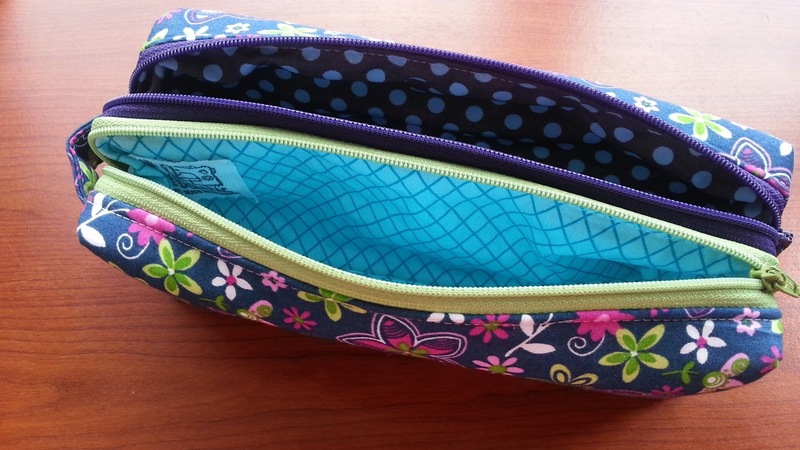 It is an Annex Double-Zip Box Pouch which is pattern and video as well. Fabrics are from my stash, zippers are bought at veritas. 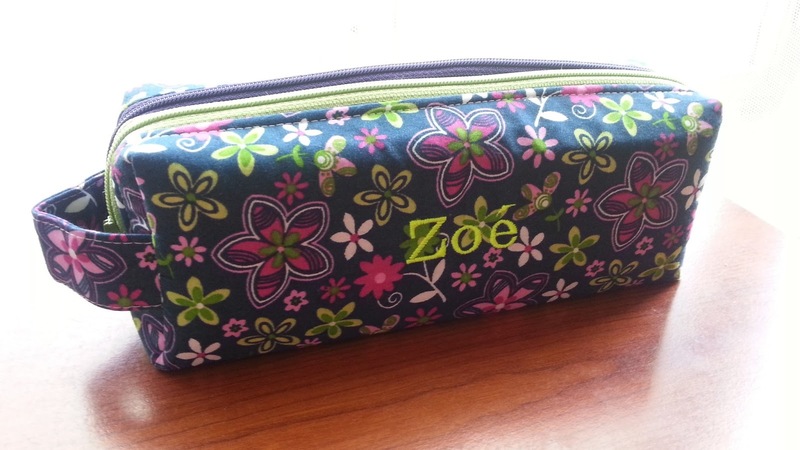 I added embroidered name on it to have it personalised.